A smartphone that really has the tech world talking at the moment is the HTC One flagship successor. This has been known with several names already including the HTC M8 and All New One, and more recently it looked as though it would be officially titled the HTC One M8. However, DLNA certification has now showed up with the device listed as the HTC New One. It’s now only another week until the launch event of the next HTC One, and advertising has already begun for the phone, even though the name is still not set in stone. One of the things that does look certain for the HTC New One is that it will run Android 4.4.2 KitKat skinned with HTC Sense 6.0. Now a video has come to light that is claimed to show HTC 6.0 on the HTC New One (M8). 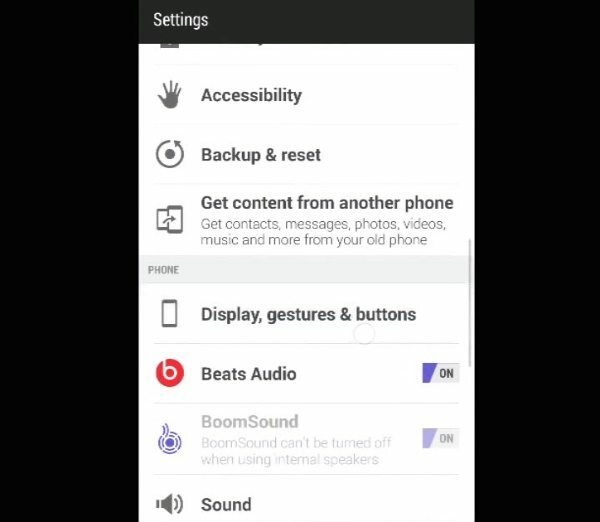 The YouTube video that we’ve embedded below our post shows a screen recording and some of the features of Sense 6.0 including BoomSound and Beats Audio in the menu as well as motion gestures. We’ll point out that we cannot confirm the authenticity of the video, but of course it could be the real deal. Have you already decided that the HTC New One will probably be your next smartphone purchase?